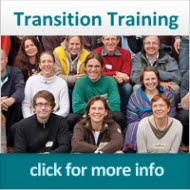 Our website theme « what is the impact of Transition, and how do we know? » is explored and digested, plus the Roundup offers more illustrations of how it looks. A new draft support system and the first UK Roadshow event. Transition Free Press is out in print and online. Plus some thinking out loud on another possible way of the world. News comes this month in the UK from Worthing, Whitehead in Northern Ireland, Reading, a meet up in Berkhamsted, Bristol, St Albans, Marlow, Horncastle, Langport, Whitstable, London, Exmouth, Dorking, Tooting, Totnes. Plus Germany, Netherlands, Italy, New Zealand, Australia, Spain, Serbia, Japan, and the USA. 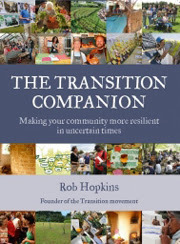 New Support System for Transition Groups – what do you think? We want to hear your thoughts on new support framework being developed. The new framework includes a new 12 steps, a health check that helps groups to assess their own needs and a new officialising process. It is currently at a draft stage and Transition Network want to hear what you think about. The Survey close on the 25th May. 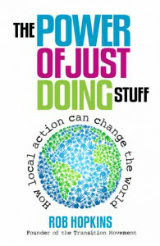 As a token of our appreciation, everyone who fills in the survey and leave their contact email, will be entered into a draw to win one of 3 signed copies of Rob Hopkins latest book The Power of Just Doing Stuff. 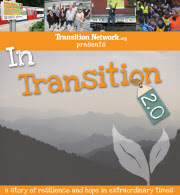 Announcing the Pilot Transition Roadshow event! What Would a Transition Co-operative Store Look Like? A recent report on local currency and local economy from Sweden, complied by Transition member Steve Hinton, sheds light on some of the pitfalls and opportunities for local community action. Helena Norberg-Hodge writes that since the first Earth Day in 1970, not only have our ecological crises come into sharper focus, it has also become obvious that we need to rescue not just the Earth, but also its people from the clutches of an economy gone mad. The most critical task facing humanity today is creating a shared vision of a sustainable and desirable future say Ida Kubiszewski and Robert Costanza in their new book. Jim Shultz asks what action do we take when we have no guarantee at all that what we do will make any difference? New Economics Foundation have just published ‘No Small Change’ – a how-to guide for community currency organisers looking to effectively evaluate the impact of their project. Throughout May, join Transition US in taking action to grow food, save water, conserve energy, and build community as part of the Community Resilience Challenge! Visit the website for project ideas, an organizer toolkit, and to register! The Seven Year Itch Transition Party! 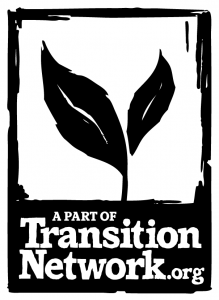 Lewes Transition Initiative is seven years old. To celebrate they’re holding a big party on 12 June & everybody is welcome! Special guest is Rob Hopkins. The evening includes lots of local music & iconic prog-rocker Arthur Brown is scheduled to make an appearance. Delicious food will be available as well as a bar & dancing until midnight. Our theme for May on the website will be ‘Transition and Health‘. We’d love to share your stories of any ways in which Transition has made your community healthier. Please get in touch.